It's March already! Yay! That means it is autumn and I can't wait for the leaves to start changing colour! I am sure my favourite months are autumn and winter! 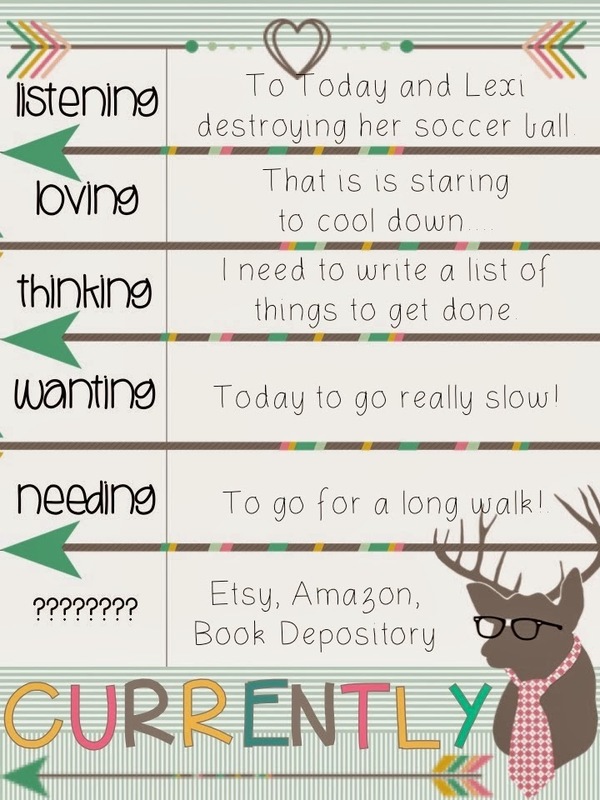 I'm linking up with Farley at Oh' Boy 4th Grade and her new blog design for another currently! It's just before 8.30am so I am getting set for a lovely Sunday at home! Lexi has been up since about 7am (that's a sleep in) and is currently running around like crazy! I am very happy it is starting to cool down - I even got to pull out a new scarf to wear this week! It may be a Sunday at home (and perhaps an hour at school) but I do have a lot of things to get done. Perhaps I should write a list! Starting off with a blog post is a great start! Because of this I want today to go really slow!!!! My brother is visiting so we might head down to the river and go for a walk... that would be lovely! Now the last one you have to guess - I have written the answers, what do you think the question in my head is? I LOVE Fall! I miss it so much. Living in Hawaii I never get the fall like I did where I am from in Michigan! I think your last question is "Where do I spend time and money?" I hope you got a good walk in. Enjoy your time with your brother. Thanks for being a good blogging friend! I have nominated you for the Sunshine Blogger Award - check out my blog for details! I love the answers to your question....I think the question would be My favourite Stores!! !